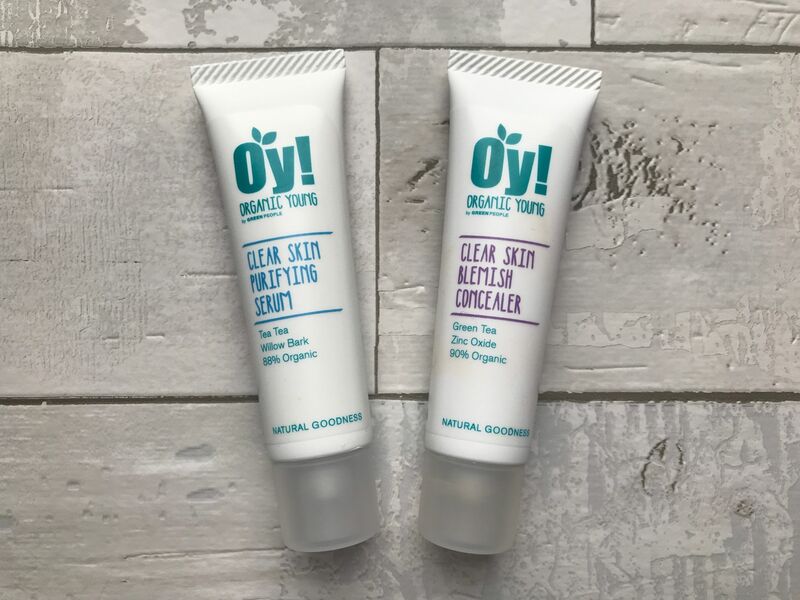 Skincare is a big love in the LD house, all of us, boys included, like to take of our skin so when Green People got in touch recently and asked if my 15 year old would like to try some of their OY! (Organic Young, but also, what you hear most teenagers saying) range, I knew it would be welcomed! 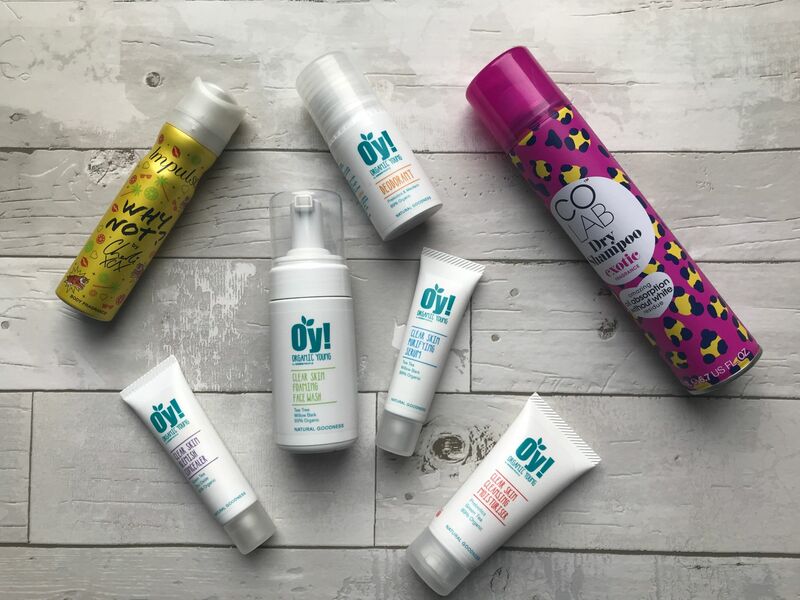 The range is tailored for teenagers and is packed with natural and organic ingredients to nourish and re-balance their skin. My daughter has a few little issues with her skin, nothing major, but enough to annoy her. She is all about the make up, and lots of it, so she understands that she needs to take care of what’s underneath all the layers, even when she really can’t be bothered! Green People believe in using ingredients which are kind to the skin and effective in getting rid of acne and spots, and, with up to 60% of what you put ON your skin being absorbed into your bloodstream, it’s really important to use natural skin care when you’re a teenager. No need for anything harsh to go on their faces, unless they’re really struggling with bad acne, then I’d always go straight to the doctor, they’ve got enough on their plate, they don’t need bad skin to add to it! All good skin care starts with a decent cleanser. I tend to use oil or balm cleansers, which are a little bit too heavy for H, although that doesn’t stop her stealing them occasionally, so this is all hers. 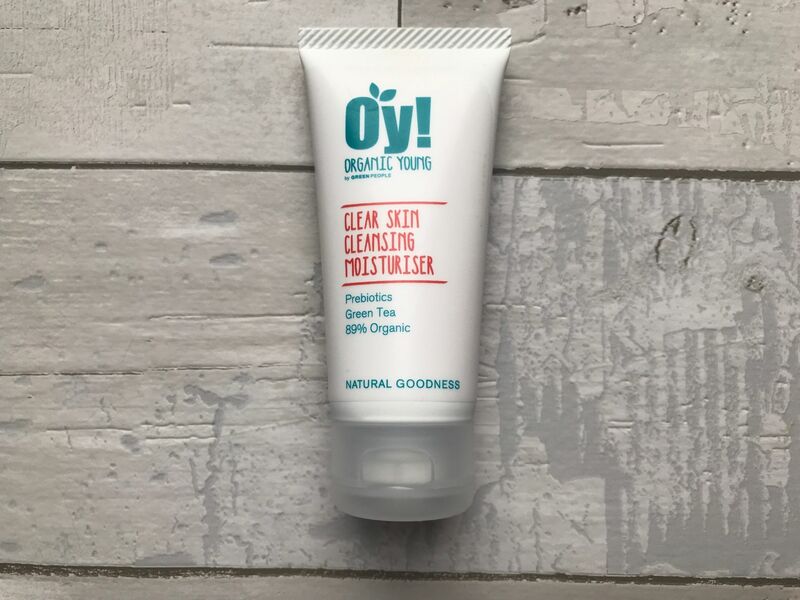 Containing organic green tea, willow bark, witch hazel and sage & tea tree, it promotes a blemish free face and helps to reduce inflammation in any existing spots, and kills bacteria. It can be used twice a day, morning and evening and it’s so easy, even a teenager can make the effort. Pump, wash, rinse off. Easy. This anti-blemish (sense the theme!) serum is her favourite product. It balances the skin, and helps to reduce the redness in any spots that are already lurking. After cleansing, apply a small amount of this before moisturising. It can also be reapplied throughout the day on more problem areas if you feel you need it. This is such a brilliant idea, a concealer that actively tackles spots while covering them! It can also be mixed with the moisturiser to make more of a tinted moisturiser/foundation on days where, clearly, a full face of make up isn’t needed. Like school….. But, it’s quite a strange texture, I’m not sure if it’s because we’re both used to a different kind of concealer, but H found it didn’t really cover any blemishes. It’s great that it’s not heavy and cakey, because we all know that doesn’t work on spots, it just highlights them, so this could be brilliant for boys who want to hide their skin without looking like they’re wearing make up. This is a really lovely, light moisturiser which is perfect for younger skin. It doesn’t leave a sticky or heavy residue and it can be used in the morning and evening. It sinks in quickly – perfect if you’re rushing to apply make up before school (obviously) – and feels almost mattifying on the skin, although I’m not sure if it’s meant to do that. It’s great for girls (and boys) who don’t want a shiny face. It doesn’t contain any alcohol, so it doesn’t dry out the skin or sting, and your skin won’t go into oil producing overdrive, creating more spots. It’s also really good for sensitive skin. Now, this one didn’t make it to the teenagers room, because her 8 year old brother “borrowed” it. In his defense, she’s not a fan of roll-on deodorants so she was happy to let him test it out. We won’t mention the fact that he’s 8 and doesn’t need it. Yet. But, none the less, he is a fan! I have to admit, I much prefer him smelling of mandarin and vanilla than Lynx so I’m also a fan. 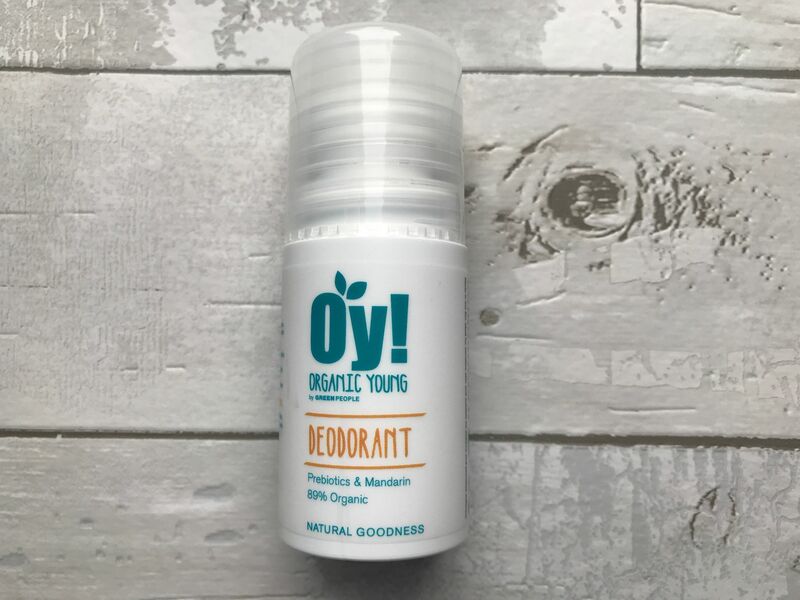 It’s a long lasting antibacterial roll-on deodorant without any alcohol again, and no pore-clogging aluminium. I really like the fact that this is natural and 89% organic, when it’s your kids using it, you really pay attention to the ingredients. 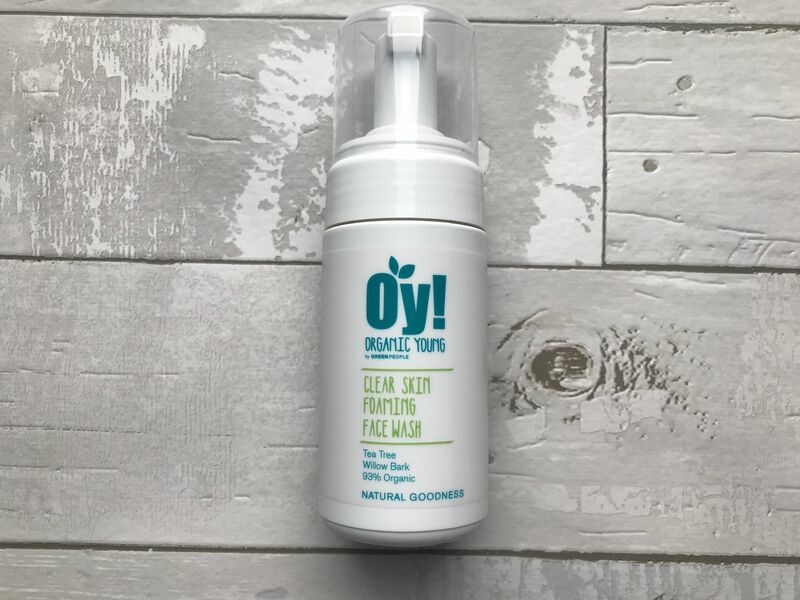 If you’re the proud owner of a teenager who is into their skin care, or, you want them to be, the OY! range is brilliant. It’s a step up from the clearasil range we had as teenagers (remember that burning skin sensation!) and not quite at the “please use my expensive products as you wish” stage. And, getting them into a good, three (or four) step skin care routine now, will give them a huge advantage when they’re older. All the products mentioned are available online at Green People.